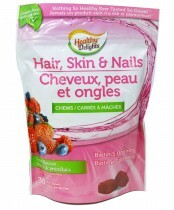 Healthy Delights is a brand of confectionery nutritional products with the goal of delivering high quality supplements and nutritional snacks in a delicious and convenient way to help keep your family healthy. They have taken great care in using quality ingredients and avoiding artificial colors, artificial flavors, preservatives, and animal by-products. Additionally, all of their formulas are gluten-free.